Thanks for visiting Xtreme-play-n-go.com! We are dedicated to excellence, with strong values on safety. 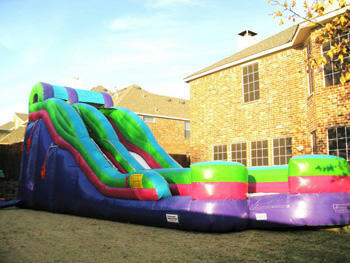 Xtreme Play N Go Party Rentals has superior rental service because we are reliable and dependable. Every employee has received advanced certification on safety and setup of inflatable equipment. Xtreme Play N Go is fully a insured company. From small backyard settings to large functions such as; birthday parties, church functions, company picnics, school events, graduations, family reunions, fundraisers and more! 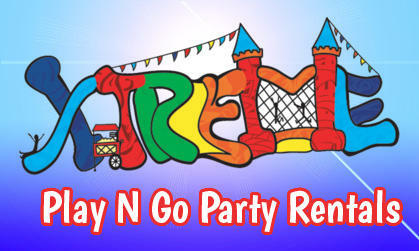 Xtreme Play N Go welcomes the opportunity to make your next event an "Xtreme" one to remember! 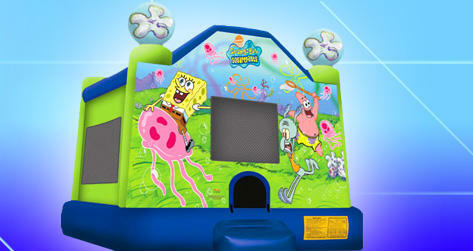 This one of the most popular bounce house rentals in the Ann Arbor area. The Monster Truck bounce features a giant truck style monster truck sitting right up on top of this large bouncer. Decked out in awesome flame graphics and giant monster truck wheels. Perfect for the little Monster at your next party. Great for boys birthday parties too. 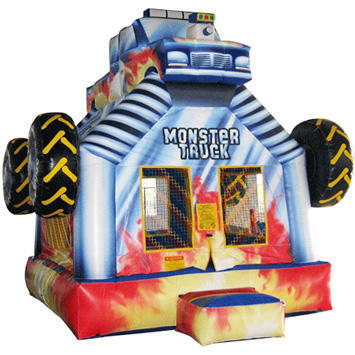 The Monster Truck Bounce House has a large 15ft x 17ft bounce are, large enough for all to have a great time. There are also large netted vent windows all around to keep things cool for kids, while allowing parent a 360 degree view to keep an eye on activities inside. There is an inflatable safety ramp at the entrance that keeps your young guests in a safe environment. Get Details on the Monster Truck Bouncer Now! The Royal Express Junior is the perfect attraction for all kinds of events. Sized for the smaller children (Parents) this junior sized train takes up less space and can be operated in more locations than most trains in this category. The royal Express Junior Engine features a charming storybook style design and comes with it's own engineer to supervise the day's adventures on the railway. Three colorful cars follow along so there's plenty of room for passengers. If you have questions about the train specifications, operating conditions or suitable locations, just give us a call at (734) 484-9696 and we will be happy to assist you with all the details. It's the perfect size for some of those more difficult venues. A trackless train is PERFECT for a shopping mall. 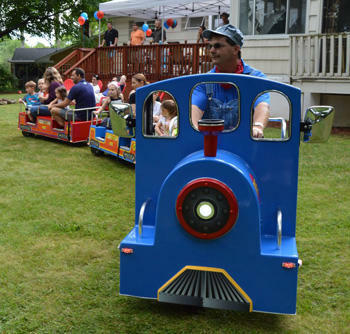 Xtreme Play N Go Party Rentals has the perfect solution for creating magical outdoor spaces for your family gatherings, weddings, and other outdoor parties. Choose from a large selection of tent sizes and configurations to get just the right shelter for your event. 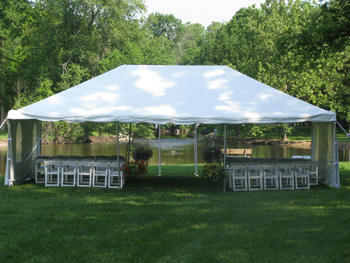 Once the tent is up then we can also provide tables and chairs, as well as seating configuration assistance so you can maximize your seating arrangements. Round or rectangle tables, and Chill-n-fill tables are all available. Get your summer events off to a great start with one call to Xtreme! Grab your cowboy hats and let's get this rodeo going! 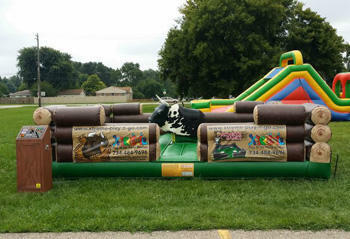 Xtreme Play N Go has the xtreme fun that comes when you climb up on this bull. Our mechanical bull rental is the latest model and the most advanced yet. The new Premium Bull body is designed with safety and realism in mind. This is the most realistic bull ever made. The innovative Soft Foam Safety head takes on a new look, being totally covered with raw hide that matches the bull's body. The control console comes with 8 pre-set automatic competition levels, making competitions easier and more fun and with the timer, everyone sees the time to beat! Ann Arbor's Best Inflatable Slides! Whether you're looking for a giant water slide or one of our awesome dry inflatable slides, Xtreme Play N Go Party rentals has the best selection in the Ann Arbor area for you to choose from. If you're ready for a wet & wild time this summer our 20ft Rip Curl slide will make an exciting centerpiece attraction. Watch the lines form around this fun and flirty wet/dry slide. Perfect for hot summer days, riders can climb up the left-sided climb to the top of the more than 16-foot sleek and slick slide, with a No-Jump Top, which forces riders to slide down correctly, keeping them secure.